The word “spicy” is rarely used in any type of UK cuisine. While bangers and mash and fish and chips are delicious meals, they don’t necessarily get your adrenaline pumping. If you are looking for something with a little kick, most likely one of your local Asian or Mexican restaurant will have something that will get the sweat beads flowing. But before diving into chomping down on a hot chilli pepper, first check on how it ranks on the spicy scale. 151 years ago from today American Chemist Wilbur Scoville was born and eventually came up with a way to test a pepper’s spiciness. This was an organoleptic test that measures how much of the compound capsaicin can be found. The scale ranges from 0 Scoville Heat Units (SHU) where Bell Peppers are ranked to 16 million SHU were pure capsaicin can be found. It tests how much of its capsaicin content can be diluted before the heat is undetectable by humans. So why do we put ourselves through the pain of eating spicy food? Some claim it helps with weight loss or even inducing labour. But most likely people enjoy the thrill of it. 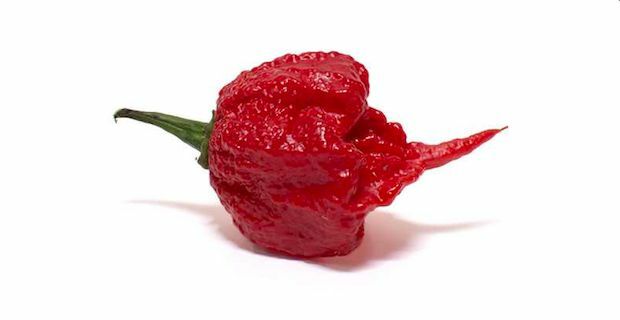 It is an adrenaline rush and those that enjoy having this sensation often eat spicy food. While some say they need to get more used to spicy food, it is more about increasing your pain tolerance than your spice tolerance.